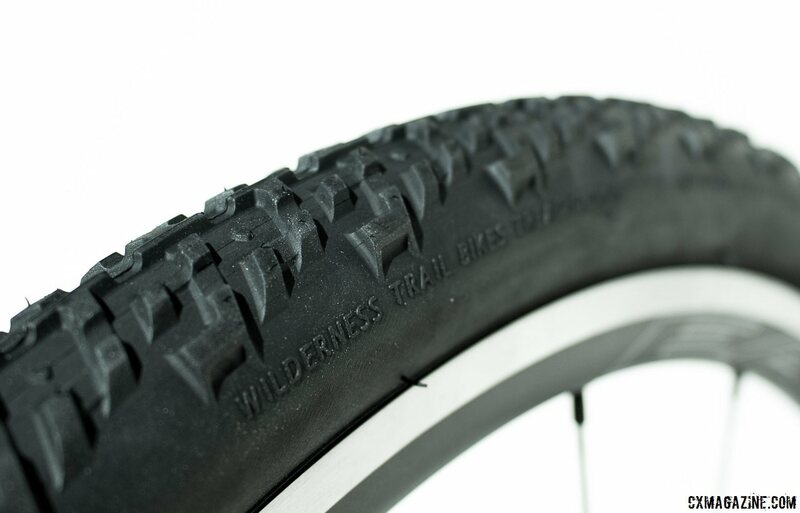 Last year, Wilderness Trail Bikes (WTB) made inroads into the gravel and monster cross tire market with its new Nano 40c tire, and it quickly became one of our favorite tires because of its high volume and versatile tread. The Nano 40c tire features a tread designed for low rolling resistance and smooth rolling on gravel, hardpack and pavement, but offers knobs that can provide grip in loose or damp conditions. It’s a different approach to gravel tires that contrasts with the the purpose-built file tread-oriented gravel tires we’ve seen by Specialized, Panaracer, and Challenge. The Nano 40c has become a favorite of West Coast gravel racers, as the bigger volume and tread protects against the larger rocks and ruts found in the high mountains of events like the Lost and Found gravel ride in the Sierra. 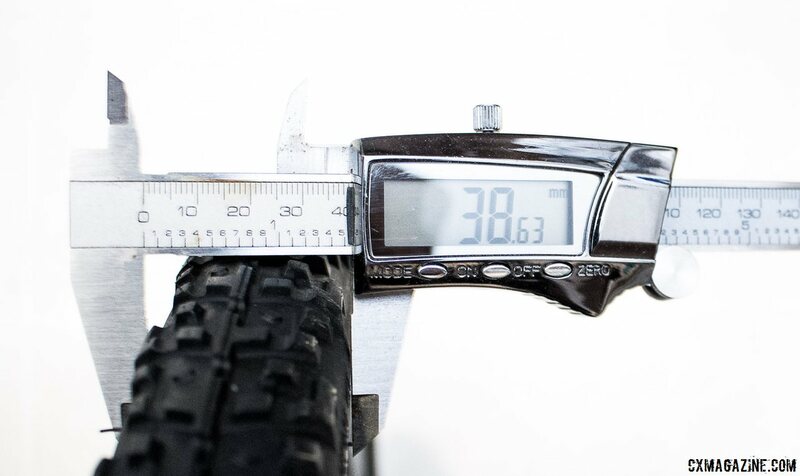 The WTB Nano 40c tire measures out to be 38.63mm on our calipers on 17.5mm wide (internal) rim, at 30 psi. It’s a tad undersized, but much closer to its stated width than the Specialized Trigger Pro 38c we reviewed recently. Pump it up to 60 psi and it’s really close to 40mm / 40c. For gravel cyclists who have big tire clearance on their bikes, the larger volume will be welcomed on rough, rock and rut-filled gravel roads. For others, the smaller true volume of the Trigger Pro 38c tire may be the largest they can squeeze in their frame. Racers have already had success using the non-tubeless WTB Nano 40c Race tires tubeless, including our test crew as well as Jared Kessler, the winner of the 2014 Lost and Found gravel race. Would the new 40c TCS model be a better choice for tubeless use? We were anxious to find out. We’ve had good luck running WTB TCS tires (Cross Boss, Cross Wolf) tubeless on WTB rims, which makes sense, in that they were designed to work together. Road Tubeless-certified rims, offered by companies like Shimano, Easton, Fulcrum and Alex, are in our experience the toughest rims to pair with tires for a reliable, low pressure combination. 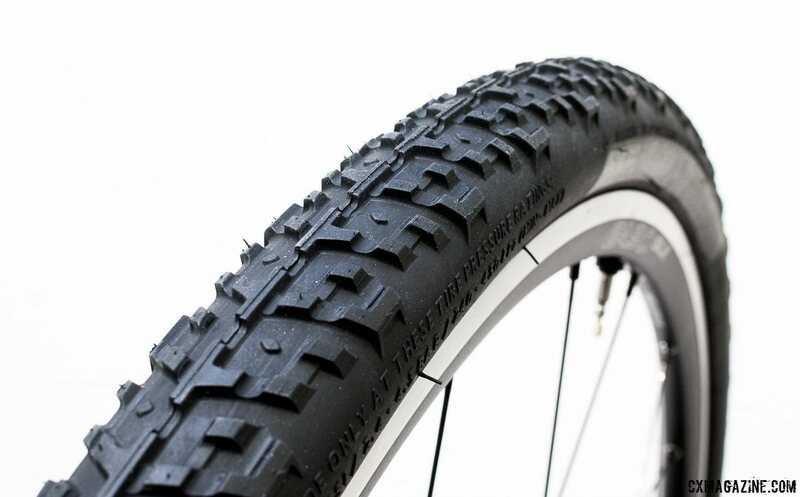 Beyond the original grey Hutchinson Bulldog and Pirnaha tires, we’ve struggled to find tires to pair with Road Tubeless rims without burping at low pressure. Plan to ride these 40c tires at 50 psi? Skip ahead, because at that pressure, you won’t have any problems on almost any setup (but besides thorn resistance, you’ll lose most of the benefits of tubeless). On an Easton Road Tubeless rim, we were surprisingly able to easily mount the Nano 40c TCS gravel tire on the rim without tire levers, which is convenient, but often foreboding in terms of burp resistance. To inflate the tire, we followed the instructions, avoiding a compressor and using only our hands (although the “hand pump” may have been a free-standing unit on the floor). Inflation was pretty straightforward, and our first test, without sealant, held air easily and stayed inflated overnight. At 20 psi, with a bunch of effort, you could finger burp the bead, but it was an order of magnitude harder to burp than the recently-reviewed Specialized Trigger Pro 38c tire. With sealant, the tire has held air and the bead has been airtight. That’s an impressive achievement in our books, and bodes well for future adventures on Road Tubeless and other rims. We’ve found the non-tubeless Nano 40c Race tire to be an ideal high volume tire for monster cross riding, rougher gravel and mixed terrain riding. The tread is versatile while still offering low rolling resistance on pavement and hardpack. The tread just offers more insurance in loose conditions, cornering and braking than the average file tread-based gravel or cyclocross tire. The closest competitor to the WTB Nano 40c might be the Clement MSO 40c tire. The Clement 40c offers more tightly-packed knobs and a tread that feels smoother on pavement and hardpack dirt, at the expense of some traction in really loose or soft conditions. The WTB 40c Race tire has held up well for us set up tubeless on a NoTubes Valor wheelset last summer, and offered a relatively supple ride at low pressure (partially due to its casing, but mostly due to its large volume). 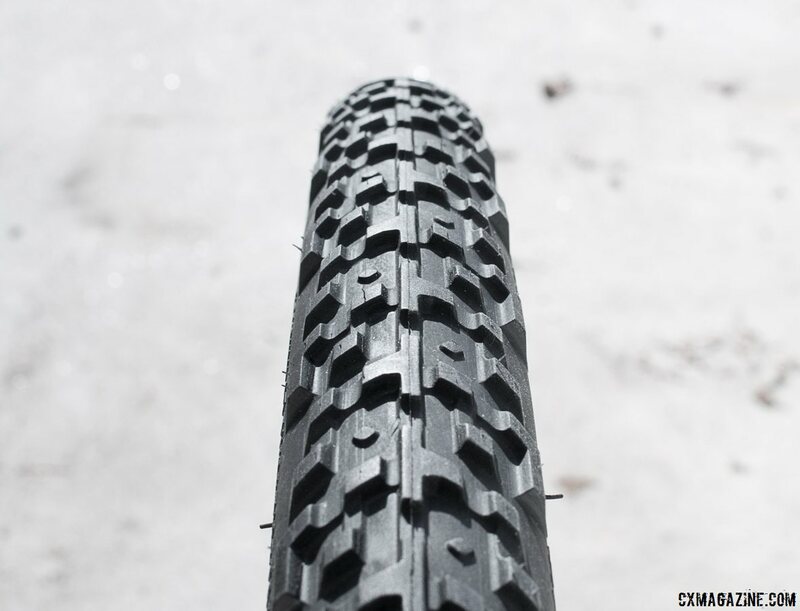 Our initial ride on the Nano 40c TCS Light tire reveals the same characteristics, albeit with what seems to be a slightly stiffer ride, due to the addition butyl layers. Stay tuned as we put the Nano TCS tire to the test in the next few weeks. Sweeeet. Do Surly Knard next! I spoke with a rep at Sea Otter last year and he commented that their TCS tires are designed around UST rims, not road tubeless.